It's no secret that we enjoy making a fun sangria for many of our events at New Kent Winery. 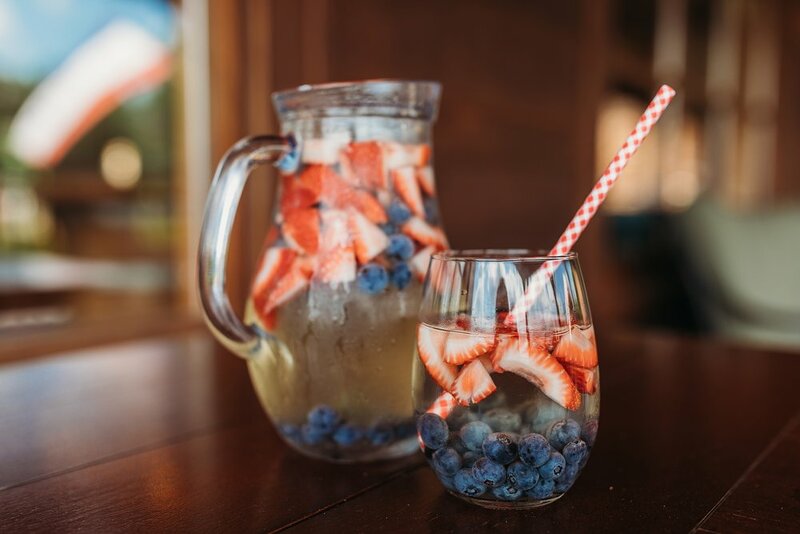 This week, we are sharing our favorite Red, White and Blue sangria recipe just in time for the 4th of July! This recipe is not only super easy to prepare but also looks beautiful and is sure to impress your friends at your Independence Day parties! We hope you enjoy it! This recipe works best with a dry white wine like our stainless steel Chardonnay. You can also add just a touch of Brandy (about 1/4 cup) to a sangria like this for an extra kick if you are feeling adventurous. A quick tip is to not add any ice to the pitcher of sangria. Simply add ice to the glass before serving and pour the sangria over it to avoid diluting. 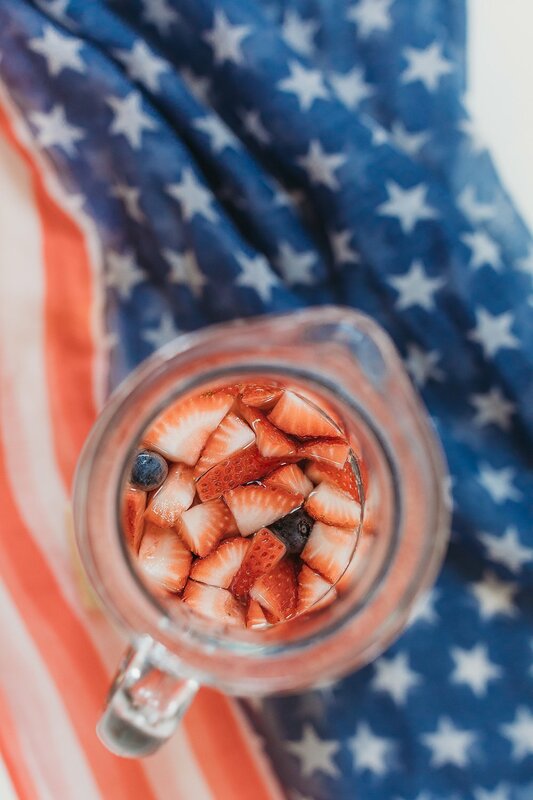 Add a patriotic red, white or blue straw and you are ready to serve! When ready to serve, fill a glass halfway with ice and pour the sangria to the top. Find a relaxing spot on the porch or dock and enjoy immediately!